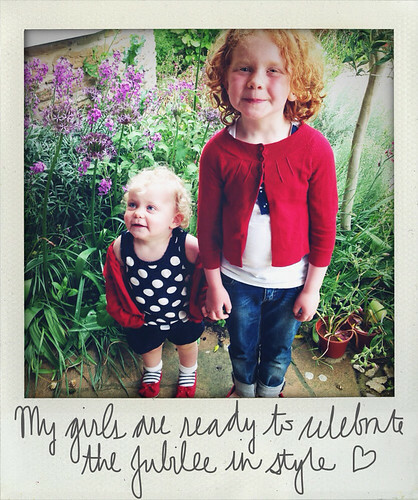 Firstly Moo (five years old) had a tennis lesson, and then her sister Doodle (17 months) and I took her onto the first shindig of the day – the fifth birthday party of one of her classmates. This afternoon we went chez Moo’s BFF, for a Jubilee tea party. Check out the deeeee-licious cake we demolished there! And then finally, the red, white and blue-themed 40th birthday party of a good friend of ours. Phew – I am partied out! I’ve been so busy creating the pincushion for my pincushion swap buddy in Canada that I ran out of Jubilee creation time. I really wanted to sew up little bunting skirts for the girls and crochet them each a crown, but there weren’t enough hours in the evenings! 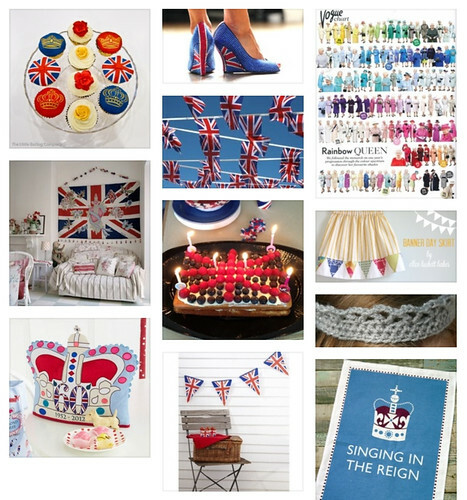 You can see the inspiration for what I should have made on my Jubilee-tastic Pinterest board. 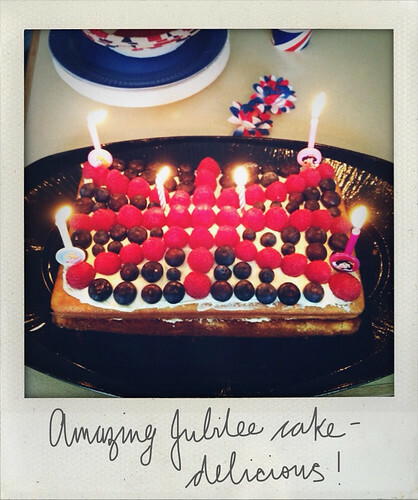 What have you been up to for the Jubilee? Do you have any cool plans for the rest of the weekend?